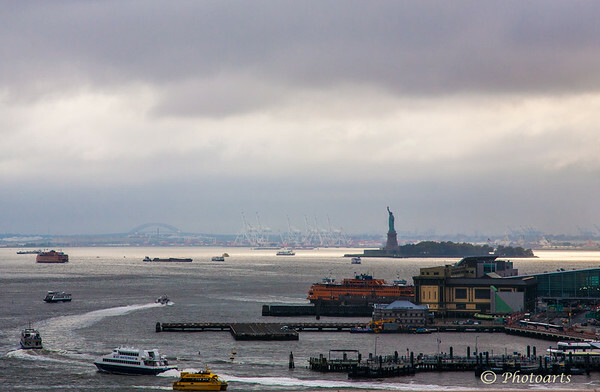 I took this photograph of New York harbor and Statue of Liberty several years ago and deemed it a bit too low light and unfit for processing and publication. After such ugly and contentious elections recently, I had to dig it up and publish it as I had thought of the title many years ago but it seems so fitting now!! Terrific view of this part of the harbor! I'm glad you opted to process it and share it. I fear the worst is not yet over. Her lamp is definitely dimmed. What a great capture of the harbor and all the activity. Nice editorial image and commentary! Nice image and interesting info !! I fear she might be waiting for a long time for her wish to come true !